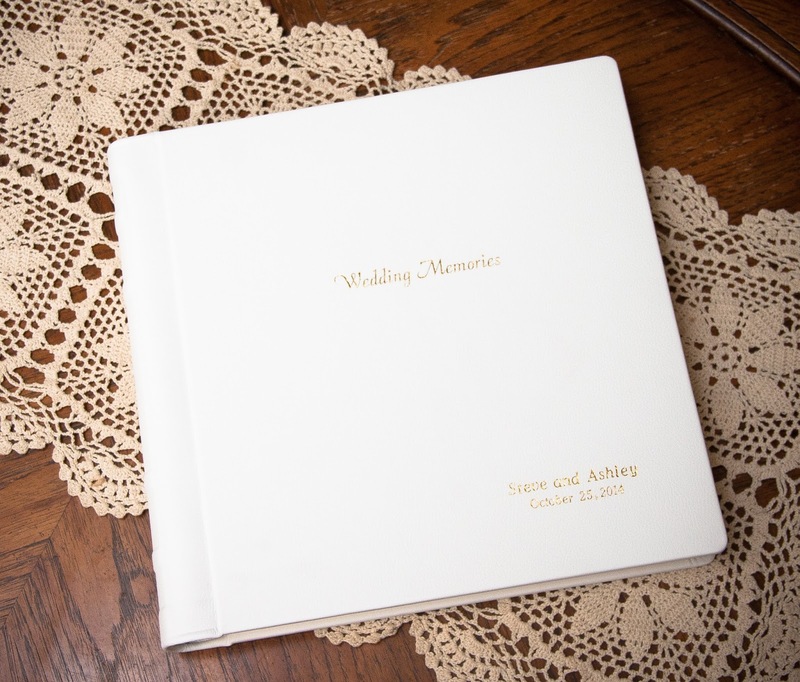 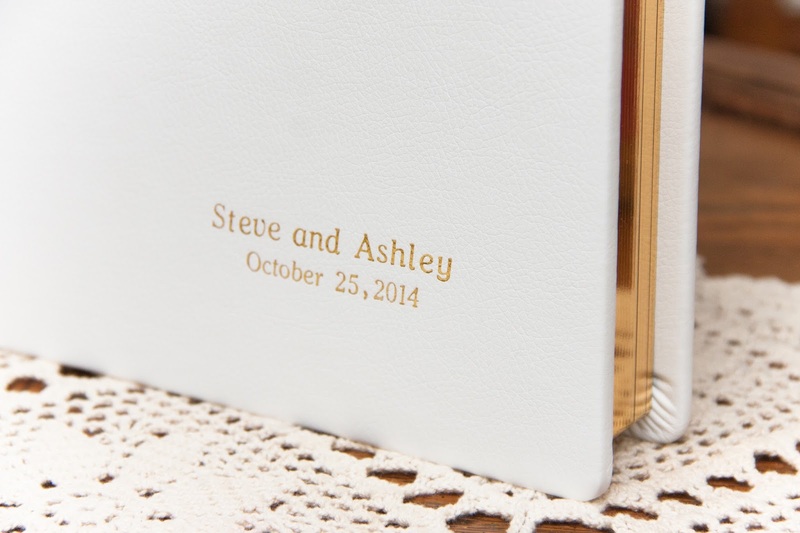 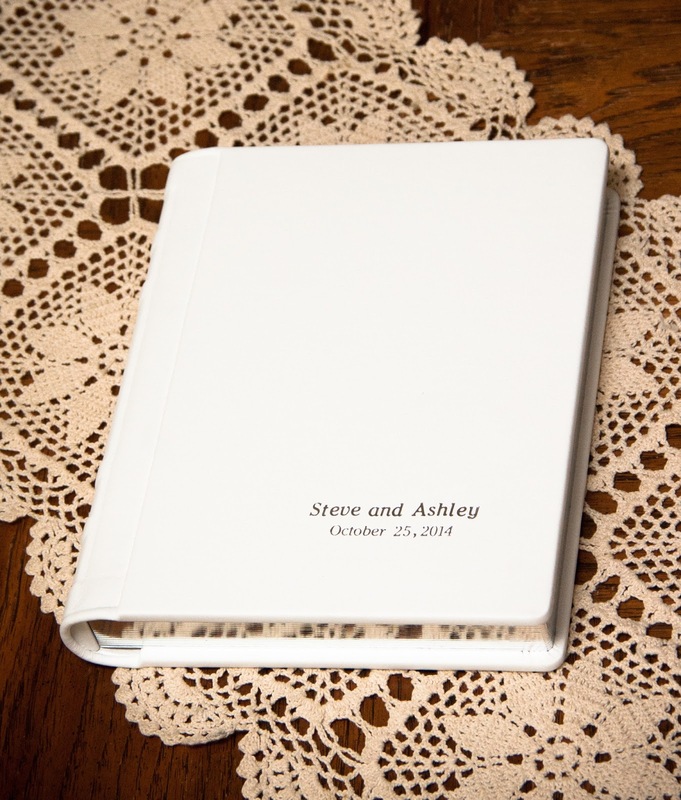 We just received two beautiful wedding albums from our album supplier in New York. One is a large 12x12 bride's album and the other an 8x10 parent album. Both set in premium white leather, one with gold page gilding and the other with silver text and page gilding.